And we still don’t know exactly what that will look like. We’ve got one more year of language and culture study, our first Stateside Service (aka furlough) in November, 2013, and then… ? But I want to share with you a little bit of clarification that I feel the Lord has given us. A couple of months back I was praying about all this and I felt like God showed me that the main vision, the primary purpose we’re here, is the growing and maturing of the Bride of Christ in Cambodia. And the two pillars upon which that vision will be accomplished are 1) Evangelism and discipleship among Khmer young people (15-30y), and 2) Christ-centered, heart-focused counseling. So this is our aim, our purpose, our prayer; that the Bride of Christ would grow and mature in the Kingdom of Cambodia. And we believe God is asking us to work towards that, primarily, through youth work and Christian counseling. What will that look like? I’ve got some ideas, but I’m not exactly sure. Ask me again in ten years. I do know that a mastery of the Khmer language and a deep understanding of the culture are critical, even for the attempt. So pray with us. Pray that God would begin, even now, to prepare the hearts of young people, so that when Christ is revealed to them, they will see Him, and obey. Pray for a willingness among our Khmer friends and acquaintances to open up, to share their hearts, to be willing to allow Christ to heal the deep places and the terrible pain. As everywhere, so many people here carry around deep hurts and undiscussed emotional scars. Pray that some would be healed by the Great Physician, returning to their families and friends with a powerful testimony to the power of God. Pray for revival in the Kingdom of Cambodia. Buddhist prayers right outside our front door. Hello, I made contact with you some time ago about working with you in Cambodia. For many years I feel the Lord is calling me to this type of work. After many years of discernment I really feel it is time to go and join you. Cambodia keeps coming up as the place where I should be. Someday soon I hope to make this a reality. I would welcome any advice or help you could give me. I will keep following your mission online and continue to pray for you, your family and your mission. perhaps you could contact me by email at ger.roche@live.ie My best wishes and prayers to you from Ireland. I’ll send you a private message. Thanks for contacting us again! 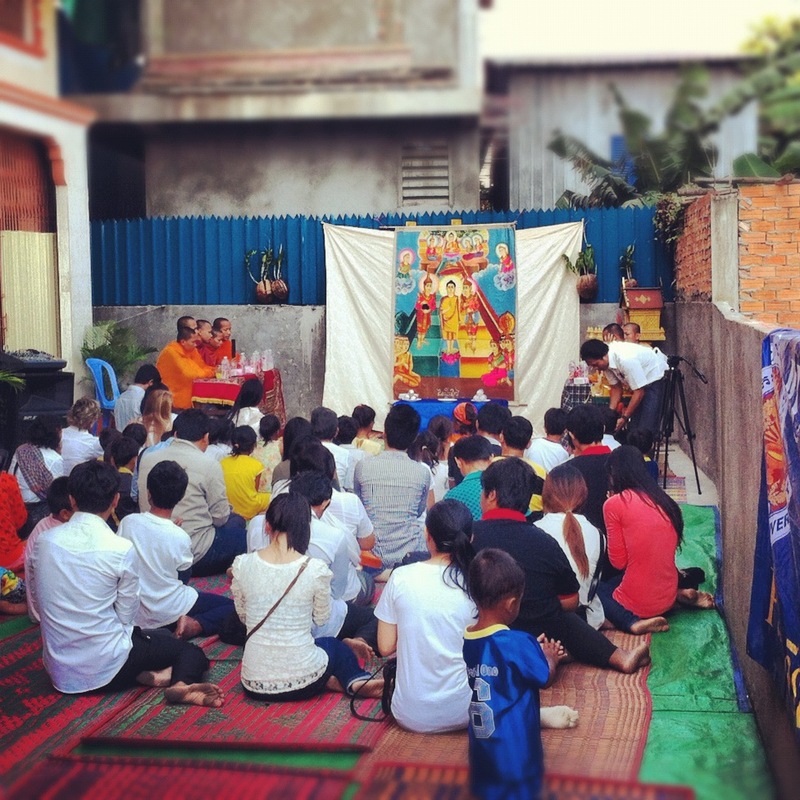 I moved to Battambang, (just up the road from you!) last year with my wife and two young girls, 1 & 3. Your blog is a constant inspiration to me. A few times I have read your blog and it has answered questions I have been posing to God- should it be this hard? Why are we so lonely? Should we be here? So I just wanted to say thank you, keep up the good work and look us up if you’re ever out Battambang way.